The Sgarabhaigh Sixpence forms an important part of a wider project (Friends of Sgarabhaigh) to conserve and share the small Scottish island of Sgarabhaigh which lies in the beautiful Western Isles of Scotland. 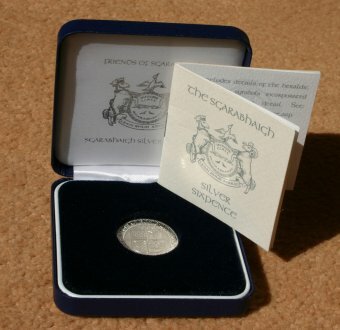 The coin design is based on an ancient coin of the realm and incorporates a blend of the ancient and modern history of the island as well as three of the ecological cornerstones of the place that is Sgarabhaigh. We have minted it in 'fine' silver which is 99.9% pure silver, rather than the harder but less pure Sterling Silver, as it will not have to suffer the rigours of general circulation. 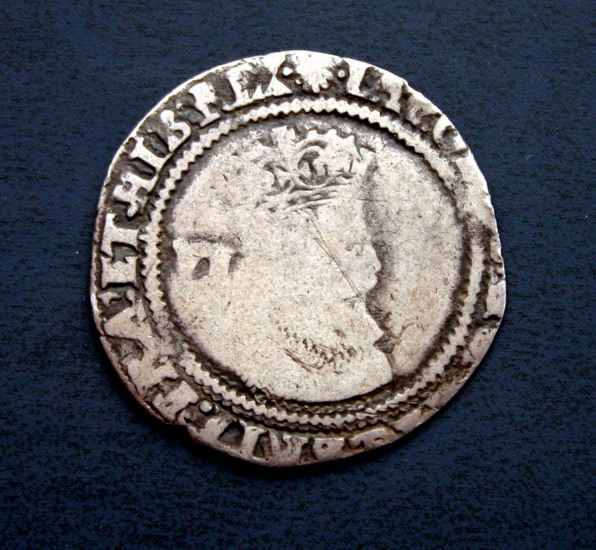 The coin is based on the silver sixpence produced by James VI of Scotland (1588-1625) also James I of England (1603-1625) the first King to unite the crowns of Scotland and England. 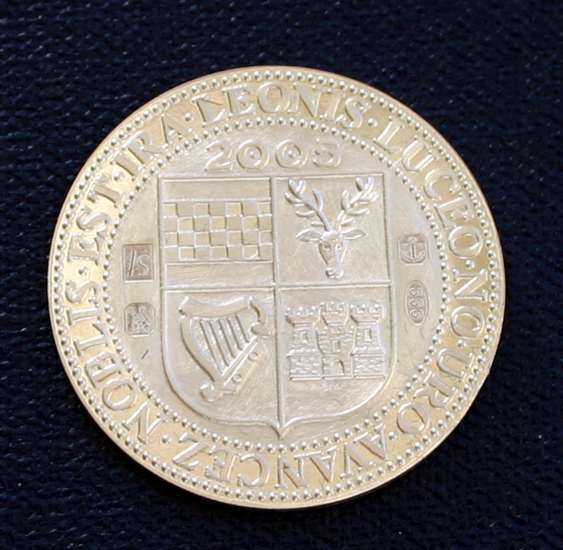 It is a denomination of coinage first introduced in 1551 and was minted up to 1967 with its final demise being part of the decimalization of currency in the United Kingdom in 1971. 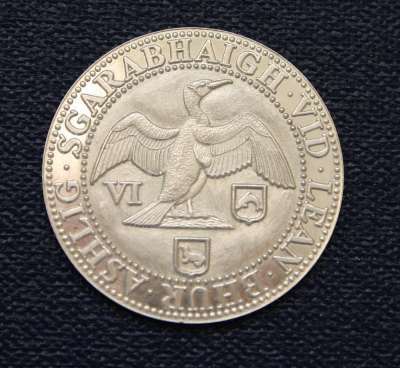 The selection of a coin from this period of Royal Union is considered appropriate as Friends of Sgarabhaigh too is a joint Scottish / English venture. The coin is therefore a solid silver coin 26mm diameter and weighing 4.5gms, the same proportions as the hand struck sixpence coins minted up to 1662. The machine-made milled coins made after that date reduced in size to 21mm dia and a weight of 3 gms and they in turn were changed in1816 to a 19mm diameter 2.8 gm coin. 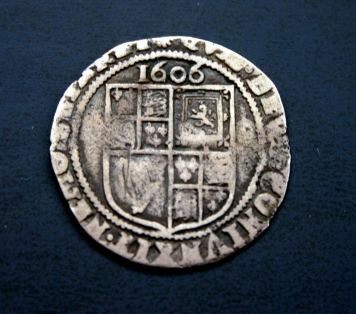 This coin would have been hand struck in 1603 as this was the traditional method of coin production up to 1662. We have however minted the coin using a mechanical method employed post 1662 in order to retain the maximum detailed definition of the features of the coin. Its detail is an amalgam of historic and ecological elements which create what is a unique, and we believe an accurate, representation of what is now Sgarabhaigh. 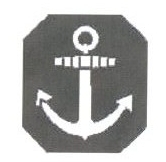 The Obverse side of the coin (normally the head side) is dedicated to the ecological aspects of the project. 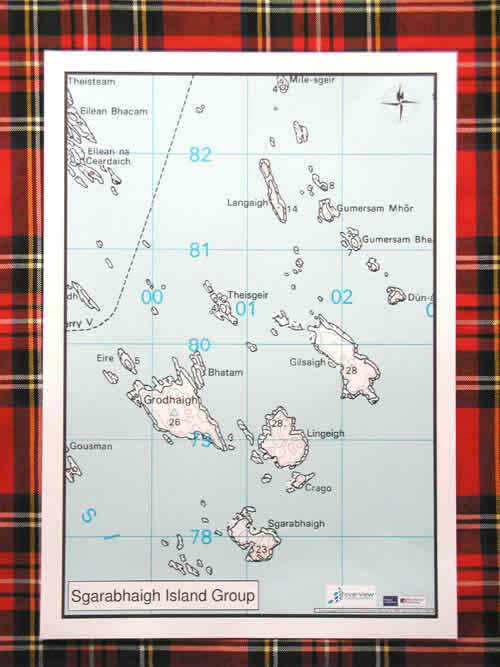 It has the Cormorant with its wings spread as a replacement for the traditional monarch's profile and, as Sgarabhaigh, when translated from the Gaelic means 'Cormorant Island', it was considered appropriate that it was given the 'Sovereign's' role. Two other important species, the seal and the dolphin, that live around the island are illustrated in the small shields beneath the cormorant. We have added the denomination of the coin, despite it not being legal tender, in order to reflect the value of the coin on which it is modeled. Consequently 'SGARABHAIGH VID' is printed around the top outer edge of this face of the coin. You may ask why a 'D'? Well the older ones among you will remember the pre decimalization notation of �, s, d where the 'd' stood for denarius or penny from the Roman period. The denomination value is further reinforced by the 'VI' repeated under the Cormorants left wing just as the denomination VI was placed in the same position on the original coin back in the early 1600's. The bottom half of the outer edge has appropriately, the motto of Friends of Sgarabhaigh in Gaelic 'LEAN BHUR ASHLIG' (pron. len burr ashlic) which means, equally appropriately, 'Follow your dreams' just as I have done with this project. 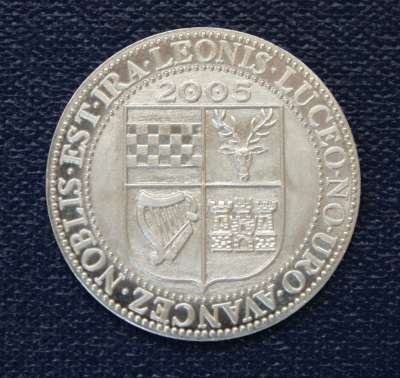 On the 'Reverse' side of the coin is a Shield, known as an escutcheon, again replicating the original coin. Within the shield we have included our historic link to the Stuarts, the Royal House of Scotland, represented by the Chequered Pattern in the top left hand quarter. This pattern is central to the Stuart crest. Next we have included a link to the family from which the island was bought, the MacKenzies, represented by the Stags Head in the top right hand corner of the same shield. Third is the link to Friends of Sgarabhaigh's driving force and sponsor Dave Hill whose family name is represented by the Castle in the bottom right hand corner of the shield, again a central element to their family Coat Of Arms. Finally, to recognize the very special Celtic linkage that Scotland has with Ireland, a link which has been reflected in British coinage over centuries, we have retained the Harp in the bottom left corner of the shield. 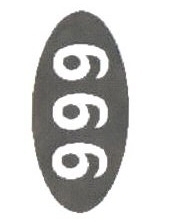 This element is from the British Royal Crest. The different family links are further reinforced by the inclusion of the relevant family mottos in their Latin form set around the main shield on the outer edge of the Reverse side of the coin. The Stuarts motto being Noblis est ira leonis and meaning �The wrath of the lion is honorable�, the MacKenzie motto being Luceo no uro and meaning �I shine but not burn� and the Hill motto Avancez meaning simply �Advance�. The meanings attributed, by historians, to the various symbols used in the design are also an interesting aspect of the whole coin design and project ethos. The �Chequered� design from the Stuart quadrant is considered to signify �Constancy� which is a recurrent theme of the whole of the project. The Stags Head from the MacKenzie clan crest signifies �Peace and Harmony� as well as the commendable trait of �Will not fight unless provoked� demonstrating innate strength and reflecting the peace of the island. The Castle signifies �Safety� and �Solidity� key features of the island and its safe environment free from predators for many of the creatures that use it to rest, breed and live on over the course of the years .The Harp brings the more spiritual aspect of the island to the fore being taken to signify �a mystical bridge between heaven and earth� which appears quite likely in some of the light and colour changes on and around the island with the constantly changing weather. Most of us are not used to seeing or touching pure silver coins from the 1600�s with their wafer thinness, un-milled edges and their lighter feel so we thought that the addition of a formal hallmark would overtly validate the purity of the coin and add �gravitas� to what is a most unique and unusual item. These official registration marks underpin both the provenance of the coin and add to its intrinsic charm with the delicacy of all four assay marks being individually cut onto each coin after it has been struck. Consequently each coin is individually �Hallmarked� by the Birmingham Assay Office to guarantee its silver purity. 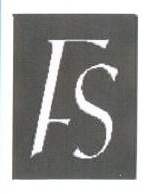 We have our own Sponsor Mark that has been registered with the Assay Office. 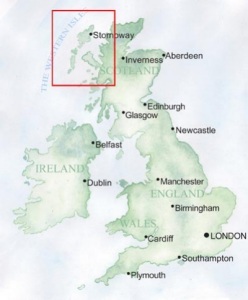 � a �Britannia� being the traditional UK symbol for silver. Thanks for reading about our coin and take care and as we say in the islands �May the wind be always at your back�.